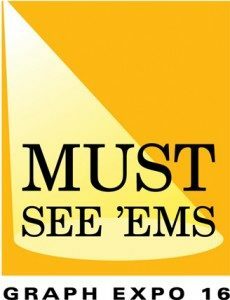 ROCHESTER, N.Y. – August 11, 2016: BCC Software is honored to announce the Integratec API Platform was awarded a 2016 “Must See ‘Ems” product award. The award is presented as a part of Graph Expo, and is the result of an evaluation by an anonymous group of industry experts that form the Must See ‘Ems selection committee. The Integratec API Platform is a secure and scalable architecture that allows users to integrate their USPS® mailing preparation process with their overall production workflow. PAVE™ certified and built using ZeroMQ™ messaging with the CurveZMQ protocol, Integratec is the only presort API available with both top security protocols and postal certification. It allows true workflow automation to save time and reduce costs for any type of mailer. Integratec will be highlighted at Graph Expo 2016 through a nominee and award winner brochure, as well as in the Executive Outlook presentation on September 25. The Graphic Arts Show Company will also be hosting a webinar on August 25 to highlight recipients. Registration will be available at www.mustseeems.com. BCC Software was joined by two partners in receiving this important recognition. Canon USA and Solimar Systems each received Must See ‘Ems awards. Through partnerships like these, BCC Software is able to provide customers tight integration into other steps of the production workflow. Taking place in Orlando, FL and running September 25-28, Graph Expo showcases the best products, services, and vendors in the print communication world. Visitors can find BCC Software located at Booth #1377 in the Mailing & Fulfillment Center. Visit www.bccsoftware.com/graph2016 for complimentary exhibitor hall passes. For those interested in seeing a one-on-one demo of Integratec, please email marketing@bccsoftware.com. © 2016 BCC Software, LLC. All rights reserved. BCC Software, the BCC Software logo, Integratec, and the Integratec logo are trademarks or registered trademarks of BCC Software, LLC. The following trademarks are owned by the United States Postal Service: United States Postal Service and USPS. ZeroMQ is a trademark of iMatix Corporation.